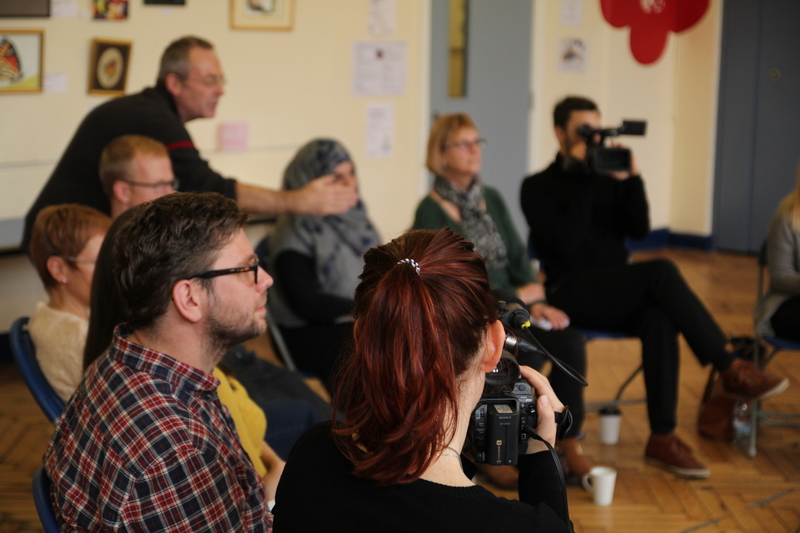 Spectacle provides video marketing training to clients in a wide range of sectors, including charities. The Macular Society approached Spectacle wanting to learn how to use video to further their campaigns, to fundraise and to increase awareness of the charity as a whole, with the ultimate aim of being able to do more to help individuals effected by Macular Degeneration disease. Andrew Gray, of the Macular Society, arranged and attended the video training session and found it “perfectly suit[ed]” their needs. He said: “If you’re thinking about incorporating video content into your work, whether you’re starting up from scratch or looking to fine tune your existing skills, we’d have no hesitation in recommending Spectacle to help you.” Andrew also felt Mark, the tutor, was excellent and helped the participants to really understand the best equipment, and how to use it to improve the content they had already created. Macular Degeneration is a disease affecting the central part of the retina, which can over time cause partial or full lose of vision. Researchers predict that by 2020, there will be 679,000 people with AMD (Age-related Macular Degeneration) in the UK, therefore it is crucial to raise awareness of the sight-affecting disease. Macular Degeneration can have devastating effects, causing some people with the disease to eventually become legally blind. Video is a powerful and effective way to raise awareness of important causes like Macular Degeneration. It can help raise awareness and market charities, visually, which can often be more effective than words. But out sourcing video can be expensive. Training staff to record and edit videos themselves is hugely time and cost effective. Also, results can be better without a film crew of a strangers, making the project’s outcome more powerful. Spectacle ran a bespoke training course on location for The Macular Society, but also offer the course in our south London workshop. We can teach participants all the stages of video production and editing process in an informative and clear manner.